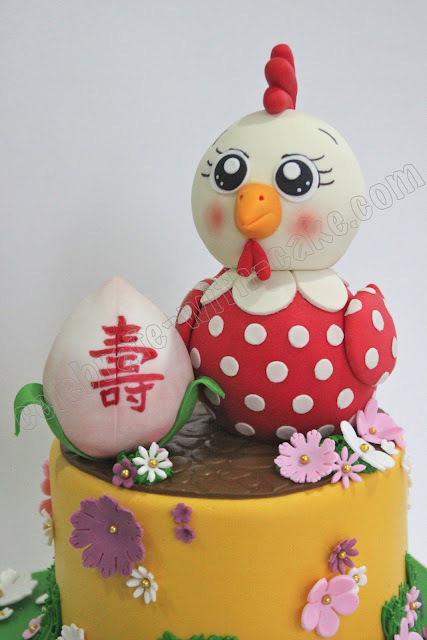 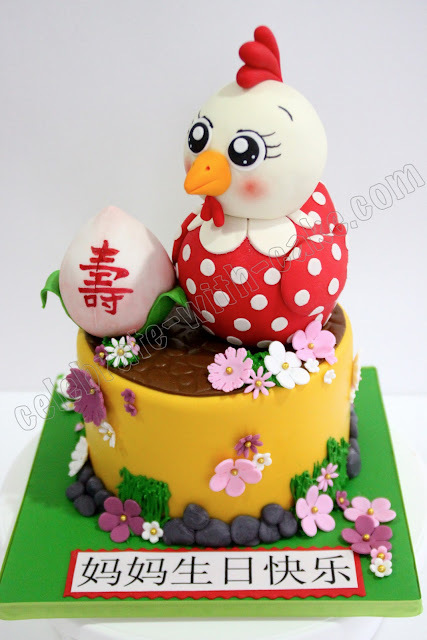 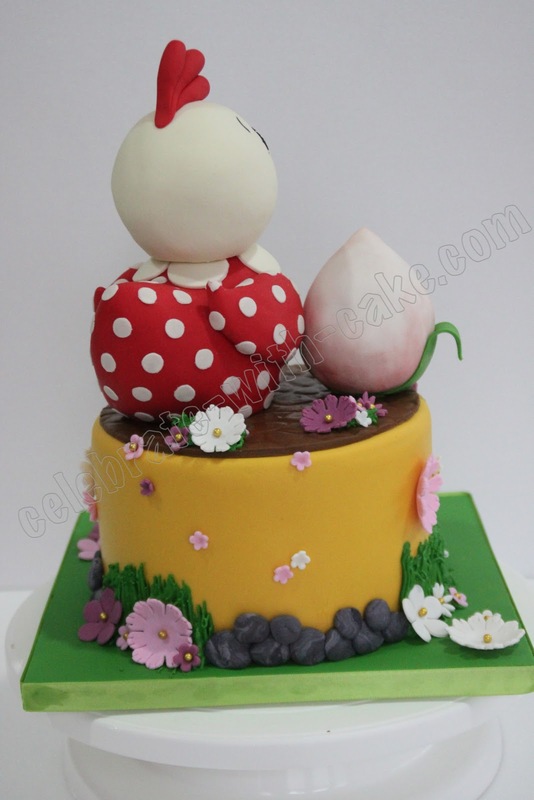 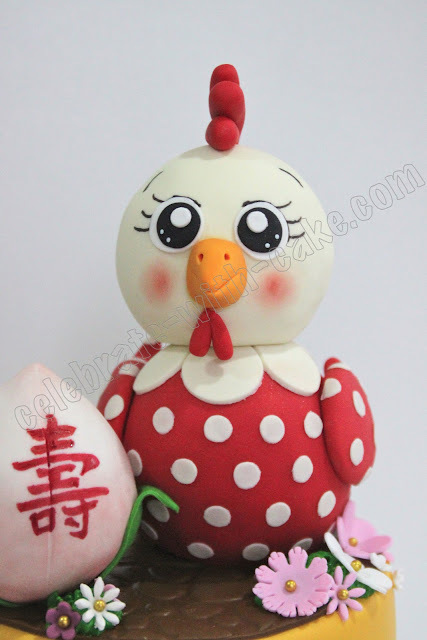 This cute Mother Hen cake was done for a sweet repeat orderer YY. 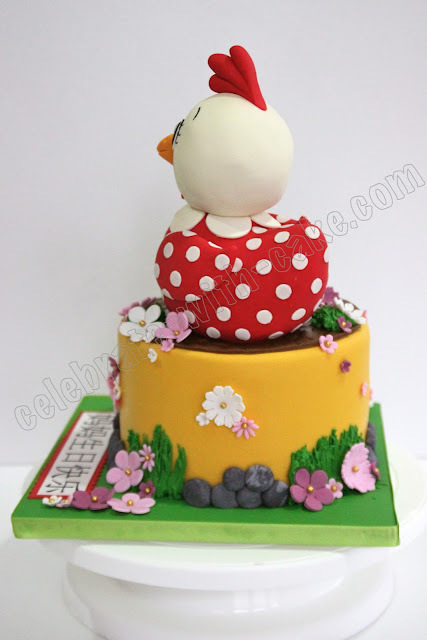 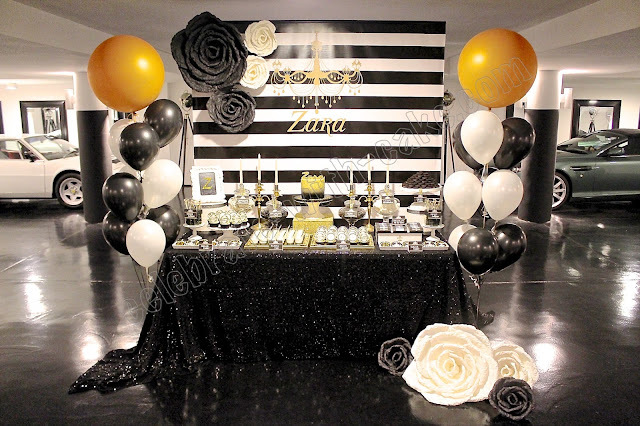 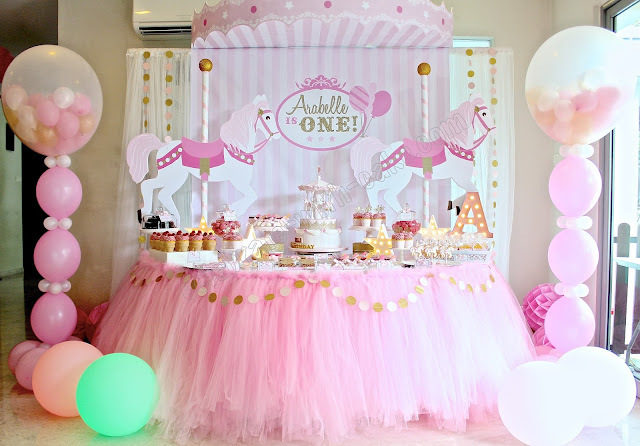 She was looking to get a cake for her mommy dearest and sent us pictures of a Cake topper she really liked, and got us to incorporate that into the cake! 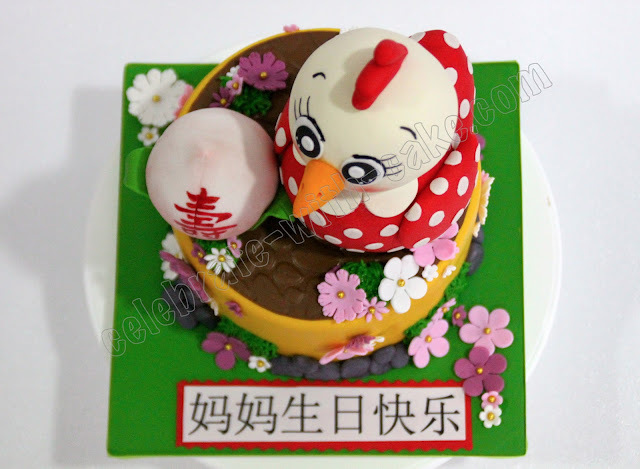 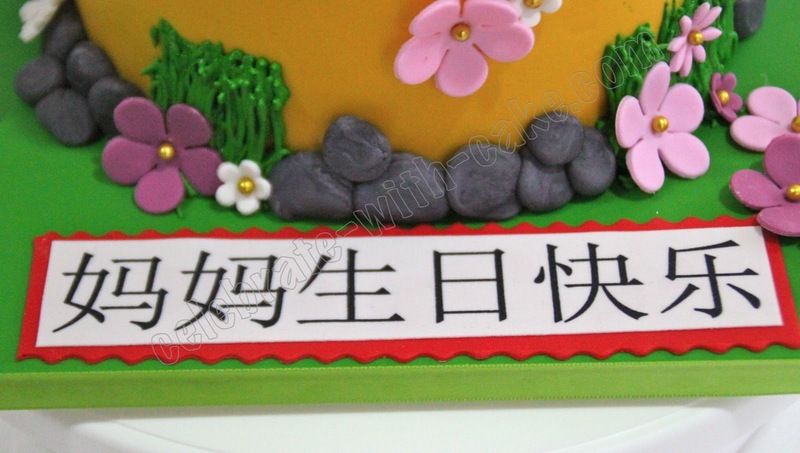 YY chose a mother hen topper because her mom was born in the year of the rooster. 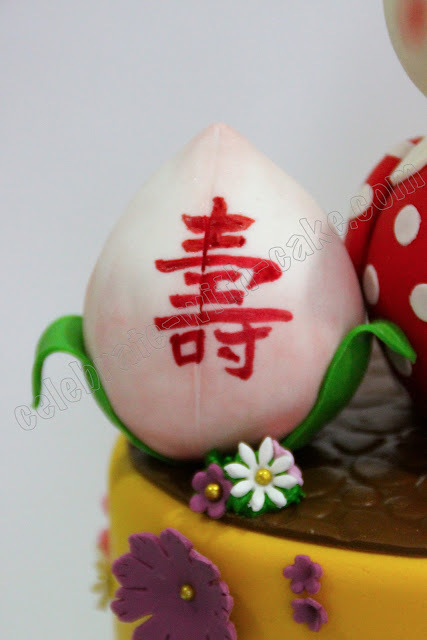 She also got us to make a longevity bun to put beside the mother hen. Cake was vanilla cake with lemon filling.